Bedford Borough Council is undergoing a huge three-tier (lower, middle, upper) to two-tier (primary, secondary) conversion programme following an extensive feasibility study that we undertook for the borough. Castle Newnham, an existing middle school, decided to amalgamate with the local Castle Lower School so that together they would provide a primary and secondary curriculum. The middle school needed to convert to a secondary school but also accommodate years five and six from the primary school on the same site. As part of the conversion programme, the council asked the schools what type of school they wanted to be, rather than imposing a choice on them. 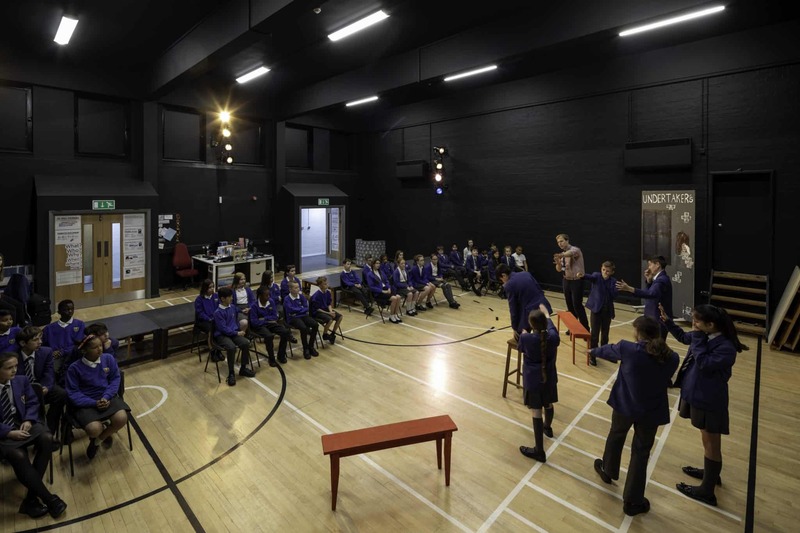 By opting for a product approach to the build programme, the design and build could be controlled – the council knew, for example, how many classrooms are needed when a lower school is reconfigured to a primary school, and what the cost would be. Castle Newnham made the unusual decision to convert from a middle school to a secondary school which meant they needed the site reconfigured as well as new builds to accommodate the increase in pupil numbers. Transforming from a middle to a secondary school meant that Castle Newnham required internal refurbishment as well as new classroom builds and a sports hall to accommodate a secondary school sports curriculum. Designing a brand new secondary school is relatively simple in terms of a brief – we know what accommodation and facilities are needed to deliver a secondary school from scratch. But when you’ve got an existing middle school that needs to convert to a secondary school then you’re presented with many unknowns which makes the brief harder to pin down. This, however, was where our knowledge and experience of modular educational builds and pre-designed solutions really came in to play. We carried out an analysis of what a secondary school should have in terms of facilities and compared this with what Castle Newnham already had. And, by having a suite of pre-designed solutions in our portfolio, we could map what was required against the budget then work through the options and costs with the school and council. Such an engagement process helped hone and define the brief – we could be creative within the budget without ever compromising on quality or design. In fact, knowing the cost of each element meant that we could move as much of the project into new build as possible, thereby minimising the internal refurbishment – often a grey area in terms of cost – which reduced project risk. Castle Newnham is located near to two other outstanding academies so it was essential that the new secondary school on the block had the facilities to attract new pupils. And our design has done just that by renovating the existing gym and surrounding rooms into a music and drama suite, and giving them four new state-of-the-art classrooms, a refurbished junior block, new science labs and a Sport England compliant sports hall. Our strong relationship with the school and council means that we’re continuing to work closely together to further improve road access and reduce traffic congestion in the area. by the school as well as local sports clubs and is a major addition to the site. Despite a huge amount of work going on, the approach adopted meant that disruption during the works was at an absolute minimum. A great success!"